Formed in 1975 in the Glasgow suburb of Battlefield, this band has spent over three decades offering their contagious version of "the real Scotland," a blend of songs old and new, played on a combination of ancient and modern instruments-bagpipes, keyboards, fiddle, guitar, flutes, bodhran, and accordion. 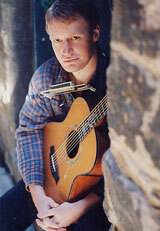 Tonight, they're joined by terrific singer and songwriter, Jim Malcolm. 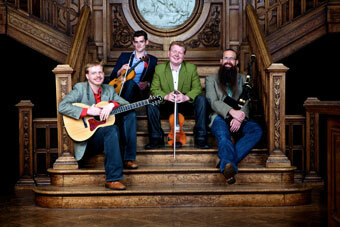 Named "Best Live Act" at the 2003 Scots Trad Music Awards, the Battlefield Band lineup includes fiddle prodigy and multi-instrumentalist Alasdair White, Highland piper Mike Katz, and accomplished multi instrumentalist and singer Sean O'Donnell, plus newest member, Ewen Henderson, on fiddle, bagpipes, whistles, and piano. Tonight, the foursome propels the Freight "forward with Scotland's past"-clapping and stomping all the way-with tunes from their latest album, Zama Zama . . . Try Your Luck (Temple), and other gems drawn from their long history. Adored by Freightgoers from his years as lead singer with the inimitable Old Blind Dogs, Jim Malcolm is unquestionably one of the finest Scots traditional singers of his generation. He has a beautiful, rich voice and the powerful ability to deliver vibrant yet purely authentic-sounding music, whether what he's singing is an ancient Scots song in the original vernacular, Jim Malcolm lyrics set to an old familiar tune, or one of his completely original efforts.